Low blood sugar is when your blood glucose (sugar) level drops too low to provide enough energy for your body's activities. A low blood sugar, also called hypoglycemia or an insulin reaction, is a blood sugar level below 60 to 70 mg/dl. What are some of the symptoms of low blood sugar? If you check your blood sugar when you feel off, you are likely to determine other noticeable symptoms not listed. Remember that low blood sugar symptoms change over time. Some you have when newly diagnosed will not exist years later; however, new symptoms may replace them. 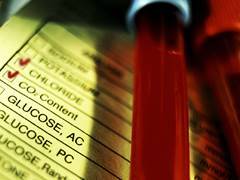 What are some of the causes of low blood sugar? Test blood sugar if possible (to avoid over treating). Use your glucose treatment of choice (e.g. juice, glucose tablets, etc.) in an appropriate quantity to return to your target blood sugar. Example: Your blood sugar is 60. Your target blood sugar is 85. You use glucose tablets. Each glucose tablet contains five carbohydrates. Each carbohydrate raises your blood sugar five points. 5 carbs x 5 points equals 25 points. Test your blood sugar again in 15 minutes. Treat again as necessary. If you know you have a substantial amount of rapid or short-acting insulin in your system that you believe is peaking and may require more than the glucose tablets, consider eating a small snack. How can you avoid dangerous lows? Test blood sugar in the middle of the night if you suspect you are experiencing nocturnal lows. Review blood sugar results for patterns. Relate “odd” or “new” symptoms to blood sugar levels for future reference. Correct basal, carbohydrate, or insulin ratios as necessary. Learn how to and implement counting carbohydrates. Use the theory of small numbers as described in Dr. Bernstein’s Diabetes Solution. Understand insulin timing versus food digestion to correct patterns of highs and lows. Test before, during and after exercise. Note changes in your daily routine (e.g. as travel, vacation, weight loss, etc.). If you have hypoglycemia unawareness or a history of serious low blood sugar, consider investing in a continuous glucose monitoring system (CGMS) to help you define blood sugar trends and make appropriate adjustments. Be prepared in advance as described below. ALWAYS be vigilant to any physical or emotional changes in yourself and test. How do you prepare to treat a low in advance? Keep your glucose treatment of choice (e.g. juice, glucose tablets, etc.) in as many places as possible (e.g. in your desk at work, in your vehicle, on your nightstand, in your tote bag and lunch bag, etc.). If you use juice, keep pre-measured and pre-marked glasses (or buy small juice boxes). Mark them for specific low points. For example: a certain mark or certain glass means a low of 40 and a certain mark means a low or 60. Keep a glucose monitor on your nightstand and in other strategic locations. Never leave home without your glucose monitor and glucose treatment of choice. Keep a phone on your nightstand with pre-programmed emergency phone numbers. If you have a history of low blood sugar that requires assistance, get and fill a prescription for glucagon. 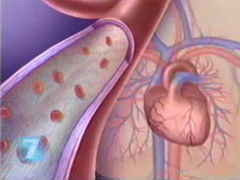 Teach a friend or partner how to inject the glucagon. While low blood sugar can be scary and annoying, especially to newly-diagnosed diabetics, most incidences are just that - an inconvenience and annoyance, but not dangerous if treated with respect. By following the techniques above, you should be able to reduce and treat low blood sugar events easily and maintain tight control of your glucose levels.